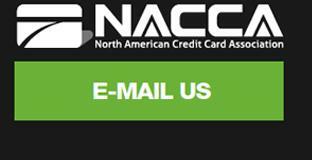 As a leader in processing solutions for over 20 years, NACCA is proud to be at the cutting edge of product solutions and technologies that serve our merchant accounts. Providing a payment gateway that enables any and all types of cards to be processed is key to customer satisfaction and ultimately a merchant’s bottom line. Here is a list of many of the payment options available today. NACCA takes pride in providing access to all payment types and being a trusted long term partner as technologies continuously evolve. Earn rewards that can be applied to areas such as airline award travel, hotel points, cash back, gift cards, merchandise or support for your favorite organization, school, or charity. Visa Signature Card benefits may include travel benefits such as: Auto rental collision damage waiver, lost luggage reimbursement, travel and emergency assistance services, travel accident insurance, roadside dispatch as well as shopping benefits such as warranty manager services and purchase security. Card services can include a year-end summary statement. Manage money and simplify accounting with detailed recordkeeping and reporting tools. The Visa Corporate card offers the flexibility and information you need to manage all your travel and entertainment expenses. Provides employees with streamlined purchasing power. The employer maintains configurable spending controls. for increased productivity and enhanced business protection. Adding additional data known as enhanced data or Level III Data to eligible Purchase, Corporate, Business and Fleet Cards will help reduce the interchange fees on Business-to-Business and Business-to-Government transactions. Level III Data is additional information about a transaction that is commonly found on an invoice. Visa and MasterCard generally charge a lower interchange rate for B2B and B2G transactions when Level III data is included with the transaction. Regulated Debit Cards: Approximately 90% of the debit cards are issued by banks worth $10 billion or more. These cards currently have their Interchange Rate regulated by the Federal Reserve and it costs little to process these cards. Unregulated Debit Cards: The other approximate 10% of debit cards are issued by banks that are worth less than $10 billion and these cards are not regulated by the Federal Reserve. Visa debit card Interchange rates apply. To insure that healthcare reimbursement accounts are used as they were intended, the IRS created mandates for retailers accepting these card types, FSA/HRA. As of June 30, 2009, the IRS requires pharmacy retailers with MCC’s of 5912 or 5122 to register with SIGIS under the TPS (VAR) / IIAS Program or the 90% Rule Program. An IIAS system allows merchants to perform auto substantiation which provides a cost effective way of validating purchases of over-the-counter (OTC) qualified healthcare products made with FSA/HRA debit cards. This process was created to assist benefit administrators (employers and/or third party) in tracking healthcare expenses for their consumers electronically using a bar code system, IIAS, rather than using paper documentation. Merchants registering for the 90% Rule Program* may accept FSA/HRA transactions without utilizing an IIAS system. Merchants currently using a stand-alone POS device or system that does not support IIAS would fall under this registration. SIGIS, The Special Interest Group for IIAS Standards was formed to create a standard industry solution to enable merchants to provide consistent information for IRS requirements pertaining to the acceptance of healthcare cards. A Health Savings Account (HSA) allows access to funds when and where they are needed. A Health Reimbursement Account (HRA) helps to ease the hassle by reducing the amount of paperwork often needed in a health reimbursement arrangement. EBT Cards are cards used by a Cardholder to purchase qualifying goods or services from a Merchant using government-funded benefits loaded onto the Card. EBT Cards are used like Debit or ATM Cards (requiring a PIN). When an EBT Card is used to make a purchase, the Transaction total is deducted from the value remaining in the Cardholders account until the pre-paid amount is spent. ECS allows a Merchant to convert paper checks and other payment information into electronic Transactions, eliminating the need to manually deposit checks at a bank. ECS provided you and your customers with efficient, easy, and secure bank account payment processing. ACH-Echeck allows a Merchant to collect payment over the web, telephone, back-office or via recurring payments inclusive of pre-arranged debits (PPD) and company-to-company debits (CCD), using the bank routing number and account number from a check. ACH-Echeck helps eliminate paper-invoice processing, bank deposit preparation and manual handling of returns. The magnetic stripe on a payment card is embossed with an account number and other data associated with that card. EMV (an acronym for Europay, MasterCard and Visa) is a global technology standard for payment cards. EMV Chip Cards validate the authenticity of the card with the entity which issued the payment card and reduce counterfeit card fraud. ApplePay is a mobile wallet which stores a replacement token or alternative card number in your iPhone Passbook application. The stored card number is used to make payments at store checkouts. Chip-embedded cards, key fobs or mobile phones are held in close proximity to contactless enabled terminals (“Tap-and-Go”). The RF field from the terminal powers and communicates with the chip (NFC). Examples of NFC include Apply Pay and Goggle Wallet. This technology emulates the magnetic field change as when a magnetic stripe is swiped across a read head. 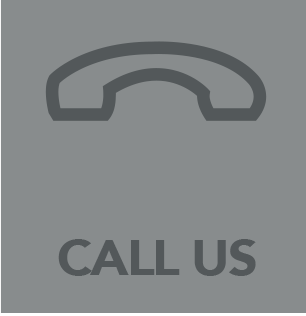 MST works with most magnetic stripe reading payment terminals allowing them to receive contactless payments from an MST device (card, mobile phone, phone case or key fob). MasterPass is MasterCard’s digital wallet service that streamlines online shopping checkout and makes online shopping safer. With MasterPass, all of your payment and shipping information are stored in one convenient and secure location. MasterPass securely transfers payment and shipping information to the merchant during online checkout. MasterPass supports all major credit cards. PayPal allows customers to send money drawn from their bank account or credit card without sharing financial information. Also, customers with account balances at PayPal may use those balances to make PayPal payments. Typically PayPal customers find their bank account as the primary “default” payment method. A credit card may also be selected as the payment method but often requires an additional step on the part of the PayPal customer to ensure this happens. Bitcoin is a “cryptocurrency” offering the possibility of anonymity in making payments with this digital currency. Bitcoin payments are made through a wallet application either on your computer or a smartphone. Typically you buy and sell bitcoins at a bitcoin exchange. Bitcoin valuation is subject to extreme fluctuation and may result in losses especially for a business operating with thinner margins. Also, on the bitcoin exchanges there may exist a spread between the buy and sell prices that should be considered. Dwolla is a payment network that allows customers to send, request, and accept money. Dwolla transfers money via an Automated Clearing House (ACH) from one Dwolla customer to another Dwolla customer. Payments are made through mobile smart phone applications, Dwolla online, and at Point-of-Sale (POS) systems and kiosks that have integrated with Dwolla.